We live in a fast-paced world where multitasking is the norm rather than the exception. If you are like most people it is common to try to handle five different tasks at once. As great as multitasking sounds not everyone is good at it. Unless you know how to keep your business organized it is easy for things to slip through the cracks. Just a few oversights with your expenses, contacts or numbers can set your business on a path that can make it difficult to recover. On the flip side, if you are organized you will use your time better and run a much more efficient business. It doesn’t take an expert investor to be organized. 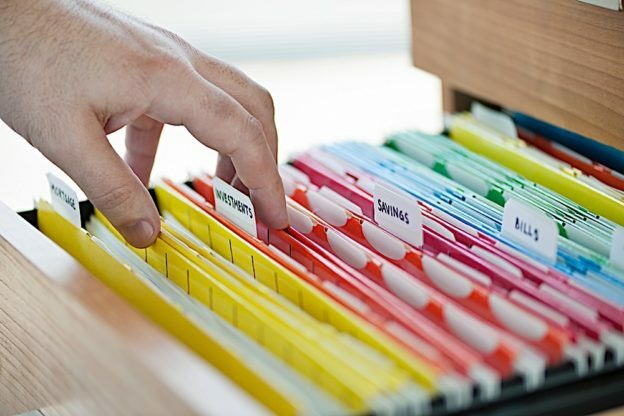 Here are five tips anyone can use to help organize their business. Daily task list. There are only so many hours in a day. Instead of being consumed by time you should focus more on tasks. Before going to bed you should take a few minutes to map out a plan for the next day. Start by making a prioritized list of tasks you want to accomplish. Instead of doing busy work at the exact same time every day you should do your hardest task first. Whatever this is make a point to tackle it first thing in the morning. What typically ends up happening if you don’t is that you will postpone or delay the task until you find the exact, perfect time to do it. As anyone in real estate will tell you there is no such thing as a perfect time. Before you know it your most important task is pushed to the afternoon, then to the evening and eventually the next day. Not only is it important to make daily tasks list but you should be prepared to work on the hardest task first. Keep a notebook in car. Gone are the days when you sit in your office for ten hours straight staring at a computer. The business is much more mobile than ever before. It is not uncommon to spend a majority of your day in a car. Because of this it is a good idea to keep a dedicated work notebook in your front seat. At the end of every conversation you should take some notes as soon as you stop the car. It doesn’t show you in a very good light talking to someone for ten minutes if you can’t recall the conversation the next time you talk. The quicker you can get something down on paper the more likely you will remember it and use it as a benefit the next time you speak. You may have two or three conversations in a fifteen-minute drive on the way around town and not completely focus on the conversation. If you have to call back and ask questions your reputation will take a bit of a hit. A notebook in your car helps you capture important information before you sidetracked with something else. Track your expenses. Do you know where every dollar spent in your business goes? If you are like most investors, you may have a rough idea but don’t fully know. If you want to stay on top of your business organization, it is essential to track your expenses. Tracking your expenses is easier than ever before. Instead of using outdated accounting methods that are frustrating and time consuming there are apps, programs and spreadsheets that can be used. If you don’t know exactly where your money is going it is difficult running a successful business. You will constantly be caught off guard by unexpected expenses or pay too much on the expenses you have. Every time you pay a contractor, handyman or lawn care company you need to note the payment. Spend a little time every month to review the expenses to see if there is a more cost-effective alternative. Trimming a little fat with your expenses can end up having a tremendous impact on your bottom line. Update contacts. In much the same way with tracking your expenses updating your contacts has become much easier. In the past a desktop rolodex was the go to method of retaining names and numbers. If you were on the road you had to call into an office and hope someone could give you the information. Obviously, times have changed and technology has improved but you still need to take advantage of it. Every person you talk to should be stored in your phone and backed up on your laptop. Not only do you need this information stored but you should give your contacts a name & title that is easily recognizable. Storing the contact doesn’t do you much good if you can’t find it when you need it. Weekly review. The real estate business never stops. If you don’t find time to take a step back it is easy to get swallowed up. Every week you should make time to review your business. You don’t need to spend hours and hours just an hour can often do the trick. You want to evaluate what has worked, what needs to be improved and if there are any changes you should make. Some may view this as a waste of time, but it can be the most important hour you spend for your business every week. Without a clear sense of direction and organization you will bounce from deal to deal and not have the success you desire. Organization is the key to any successful business. If you don’t know what is going on with your business, it is easy to take a step back. Use these five tips to help improve your business organization and your bottom line.